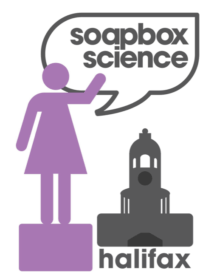 MIRA Trainee Emma Finlayson-Trick brings Soapbox Science to Halifax on June 16! Soapbox Science Halifax is an exciting opportunity for the public to engage with some of Nova Scotia’s leading researchers on topics in science, technology, engineering, and mathematics (STEM). Twelve local scientists will take it to the streets to chat about their area of research, with topics ranging from cancer treatment, bee biodiversity, chemical fuels, pediatric pain, among many others. We hope you can join us in congratulating our trainee, Emma Finlayson-Trick, on her efforts to bring this great event to Halifax.